While e-commerce is transactional in nature, there is a human element in effectively building long-term relationships with your customers. The question is: Why do some e-commerce merchants manage to execute this very well while others blow thousands of dollars and countless hours of time and never figure it out? This guide will help you supercharge your business and leave your competition helplessly trailing behind you. Perhaps the most important tip to put your business in a position to leave your competition in the dust is to enter the right race. Many markets become so saturated with sellers that any new shop on the block has to immediately resort to competing at a commoditized price. Why put yourself through the struggles of having to go neck and neck with thousands of other merchants offering an identical or extremely similar product? Peter Thiel’s Zero to One outlines how businesses that aim to get a large share of a small market are ultimately in a better position to succeed than businesses that have to fight to get a small share of a big market. Big markets draw competition like honey draws flies and, even if you have a small-to-medium-sized share, you will have to end up spending much of your precious energy and cognitive effort protecting your share from competitors. Finding a new market where you can gain something close to first mover’s advantage, however, puts you in a position to gain significant traction ahead of your competition that may not even be there yet. This comes in the form of building links to your site and product pages, ranking high in search engines with strong pages, dominating yet-to-be-trending keywords, and gathering reviews of your products. Finding the right market, however, can prove to be difficult. It requires a ton of knowledge about surrounding industries, as well as the ability to predict, in part, where a certain market is headed. You don’t have to find a market filled with eager customers and empty of sellers or go as far as creating your own. You simply have to be very skilled at spotting inefficiencies in markets, regardless of the market size. It's also important to understand whether or not your product provides a compelling enough of a solution to solve this efficiency so that it’s not drowned out by only marginally less competitive products. You don’t necessarily have to re-invent the wheel or create a new product; you just have to find a way to offer a unique value proposition that appeals to your target users. One of the biggest problems many e-commerce merchants and business owners in general face is that they never truly hone in on what differentiates their business from their competitors. Even if they do end up coming up with some semblance of a value proposition, they often do a poor job of communicating it in their messaging, marketing and throughout their site. So, take a long, hard look at what it is you truly offer. Sure, you may have an assortment of products, but so do your competitors. What is it that makes buying your product or buying from you something that customers can’t get somewhere else? Does it have to do with your product specifications? Are your products of a higher quality or durability than your competitors? Does it have to do with your delivery? Do you offer fast/free shipping, and your competitors don’t? Do you accept free returns? Does it have to do with your service? Do you provide 24/7 customer service and support for your products? Do you create a vastly better experience for your customers before and after they purchase a product? Is there something else that separates you from your competition? Does shopping with you raise money for a specific charity? Can you communicate your business’s purpose and touch your customers? Understanding and communicating your value proposition is what separates the successful e-commerce merchants from the amateurs. 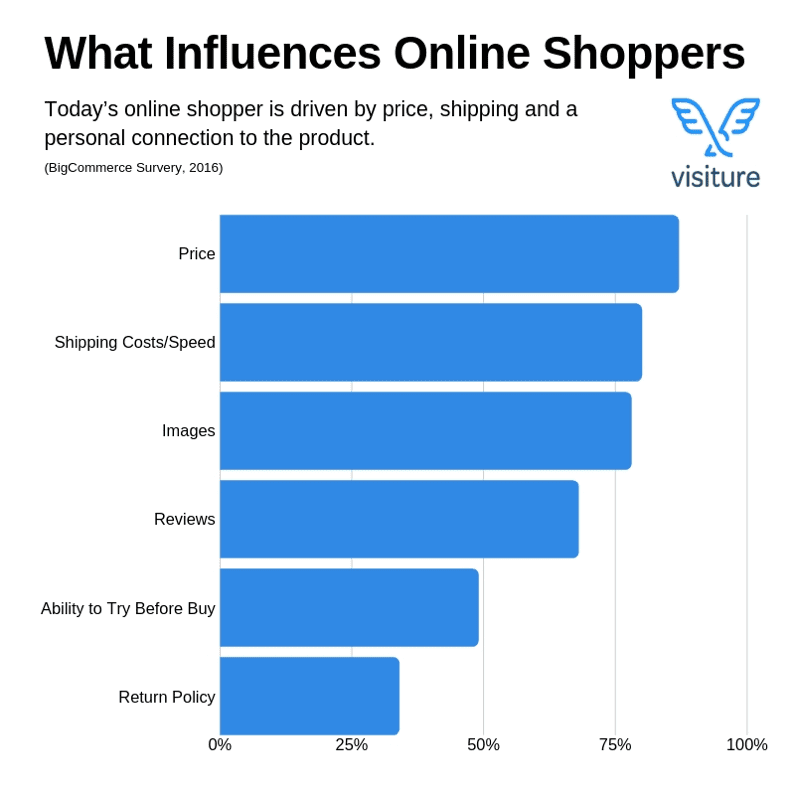 Once you figure out what it truly is that makes shopping with you stand out, you should make sure it plays a significant role in your messaging. You don’t want what makes your brand special hidden in the subtext of your Frequently Asked Questions page. You want to make sure that every visitor on your site understands what you offer, as well as why shopping with you makes all the difference. The number-one factor that determines where people shop is price, with around 87% of Americans ranking it as extremely important. When it comes to search rankings in Amazon, eBay and other e-commerce marketplaces, eyes tend to gravitate to the lowest price, followed by the highest average number of reviews. Confidently know your profit margins. Offering the lowest price and making sales doesn’t always mean it’s good for your business. Even if you do manage to get enough customers over your competitors, you may still end up in the red. If you can’t compete with some of your products on price without losing a lot of money, consider offering other products that are more profitable and use them to compete on price. Utilize loss-leader pricing. This strategy operates under the assumption that items sold under market value will ultimately encourage customers to buy more items overall. This gives you the opportunity to sell more similar products, upsell and cross-sell similar products, while also increasing your average revenue per user. Keep in mind that the higher your average revenue per user, the more you can justify spending more money on marketing efforts that target these high-value customers. Leverage your low CPA products. Many e-commerce merchants usually find out they carry some products that might not bring in a lot of profit but sell like hotcakes. These low CPA (Cost Per Acquisition) products can be used to minimize loss. Since you’ve likely already got a ton of traffic moving to them, you can use them promote sales of your more profitable items. For example, you could choose to do this by recommending similar items or using this strategy to gather emails to further promote your more profitable products. Shipping cost/speed ranks as the second highest factor in terms of choosing where to shop, with 80% of people in the US citing it as a very important factor. In order to successfully utilize this strategy, it’s important to understand what your competition is offering. For example, if you are mainly competing with Chinese e-commerce companies on AliExpress or people who utilize these companies to dropship, you have a significant advantage of faster shipping times. Many of these companies have to ship their products all the way from China and this can take anywhere from 30 to 90 days. Chances are you’ve already got the geographical advantage of being able to ship and deliver your product in about a week, so be sure to communicate this. If you recognize any similar inefficiencies, you can even leverage them to increase your profit margins to offer your customers an even better experience. Additionally, you may have no choice but to be forced into high shipping standards. Amazon has made fast and free shipping a standard in most cities, and, as a site that offers literally any product imaginable, many e-commerce merchants not offering similar shipping have a tough time competing. An extremely effective way to leverage shipping to your advantage is to take yet another page out of Amazon’s book. For many of Amazon’s products, non-Prime members have the option of getting free shipping if they order products over a certain amount. For example, a customer who places a $12-dollar body wash into their cart will see a notification that says "Add $23 dollars more of qualified items and receive free shipping!" Since the majority of people view shipping as an annoying expense that doesn’t ultimately contribute to the value they get from the products, yet only adds to the price, they are quick to try to get the most bang for their buck by adding more items to their cart. This is an excellent strategy to increase your average cart size, as well as encourage your shoppers to check out more of your products. If you do offer advantageous shipping conditions, be sure to communicate them on your site. It would be a huge miss to not make visitors aware of this as soon as possible. The third top factor that is extremely influential in where Americans shop would be any discount offers, according to 71% of people. An extremely effective way to use discount offers strategically is to offer temporary promotions to encourage reviews of a new product. This is especially useful if you’re a merchant trying to break into a new platform. This way, you’ll quickly gather reviews from people who are going to be receiving a surprising amount of value for the promotional price they paid. While you can’t directly encourage positive reviews, since that goes against many e-commerce marketplace guidelines, these reviews will likely end up being positive if your product and fulfillment are of high quality. Another great way to use strategic discounts to your advantage is to offer incentives to push conversions at certain pain points on your site. This allows you to specifically target users who would otherwise have a tough time converting. For example, if you offer an incentive of "Purchase in the next 30 minutes and get 30% off" you will likely see a drastic increase in the number of conversions during that certain time period. Keep in mind that each promotion or incentive will affect your bottom line and it’s up to you to find out which ones will get you the highest return on your investment. Additionally, you can utilize your surplus product inventory to help drive sales. This way, you spend less on inventory costs and, technically, save yourself from having to pay more for promotions. For example, you can offer BOGO (Buy One Get One free) promotions, or a "buy one, get one 50% off" to help push conversions utilizing products that would otherwise sit idle. Offering promotions isn’t the only a way to increase sales. It’s a way to convert visitors into shoppers and help pave the way for the formation of a long-term relationship. It’s important to understand the lifetime value (LTV) of your customers when it comes to promotions. Sure, if you offer a potential customer a 30%-off discount, you are losing out on 30% of that sale, but, if you can turn them into a long-term shopper, you have the potential to make a lot more off of them. Perhaps the best way to secure the longevity of your business is to have an intimate understanding of your customer. This knowledge will help you promote your products better, introduce perfect new products and speak to your customers in their language. This knowledge will also help you to streamline your marketing efforts and find what works. Of course, all your marketing should be fully supported by the data you collect, but, in order to paint a multidimensional picture of the future, you need to have some sort of understanding of your customers. This helps to eliminate the guesswork and add some personality to what would otherwise just be numbers. There is a handful of spectacular ways to learn more about your customers that your competitors are likely not doing. Reddit is a massive forum with a niche or related niche in literally any topic imaginable. You can browse industry-specific niches to find conversations about products in your industry, trends, and how people view the current marketplace. 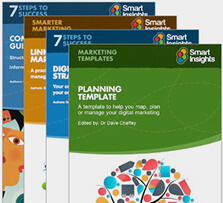 This will help reveal a layer of information that will enable you to better understand the digital landscape. However, you can take things a step deeper by visiting niches that a majority of your users are interested in, even if they aren’t directly related to your industry. For example, if your e-commerce store offers sports products and memorabilia and a majority of your customers are located in the New England area and like the New England Patriots, you could browse Patriot-specific sub-reddits. This way, you can incorporate trending Patriots news into your marketing messages or discover new products, such as a hat Rob Gronkowski wore that fans can’t stop talking about. One of the best ways to understand what your customers want is to look at reviews they leave of your products and the products of your competitors. Thankfully, most of these reviews are publicly available. If you’re having difficulty finding reviews for your specific competitors’ products, browse reviews left on similar products on Amazon. You want to aim for the three-to-four-star range because those reviews tend to paint a clear picture of what shoppers liked and didn’t like about the products. Since these reviews tend to be more product specific, you can see how you can improve your products and product delivery. Five-star reviews can be useful but are limited in their utility. On the other end of the spectrum, one-star reviews can be a good place to see what the main pain points of dissatisfied customers are. Since one-star reviews are mostly highly disgruntled customers not happy with the company or quality of the product, you can use this information to understand which suppliers you shouldn’t work with or what mistakes you need to avoid making. Additionally, many users leave personal tidbits of information, such as what they used the products for and who they bought them for. You can use this information to better understand your customers. For all its strengths, many e-commerce merchants fail to use Facebook Audience Insights for anything other than a superficial glance at their audience demographics. While these demographics can be very enlightening, they’re not anything to get excited about. However, if you go through more specific sections of Facebook Audience Insights, you can find everything from what other pages they're interested in (good for understanding your audience’s interests by exploring what type of content those pages post about) to how much household income your audience earns and what their spending habits are. 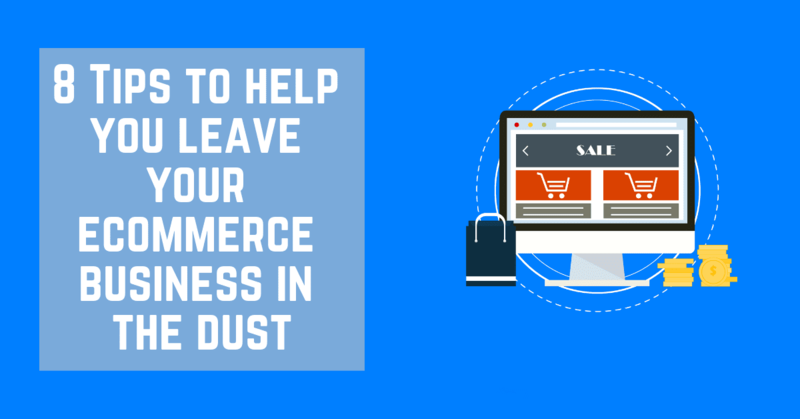 The most successful e-commerce merchants know that retention is equally, if not more, important than acquisition. Not only does retaining your customers make it easier for you to drive repeat purchases, if you do a good job at retention, you essentially take them off the market and away from buying products from your competition. Think of how effective Amazon Prime has been in establishing customer loyalty. Most Amazon users don’t even think about looking elsewhere because of the good customer experience Amazon has been able to create for them. A huge part of this amazing customer experience is Amazon’s ability to provide a consistently good experience for its shoppers regardless of membership and to integrate new Prime members into the Prime community with a wide variety of benefits. Retaining your customers is one of the most important tips on this list because it connects with virtually every other strategy. For example, if you choose to compete on price and use a Loss-Leader Pricing strategy, you can set up a way to retain your customers and make it easier and less expensive to market to them in the future. Additionally, you can upsell them more profitable products. Additionally, retained customers give you a longer opportunity to learn more about them and form a better long-term relationship. The more of a consistent audience you build, the more effective your data analysis will be. The clearer a picture you paint of your customers, the better you will be able to offer better products and better service than your competitors. When it comes to the longevity of your business and beating your competition, information is key. The e-commerce businesses that are able to gather enough information to draw keen insights for future marketing and promotional endeavors will always have a leg up on their competition that doesn’t. It’s very important to understand what your competitors are doing to get their traffic so you can better plan your strategies. There are many tools that make this process very more effective. Similarweb has a Google Chrome plug-in that can be used to see how much traffic a site is currently getting, as well any other similar pages. Ahrefs provides a more in-depth analysis to see which keywords a certain site is targeting. 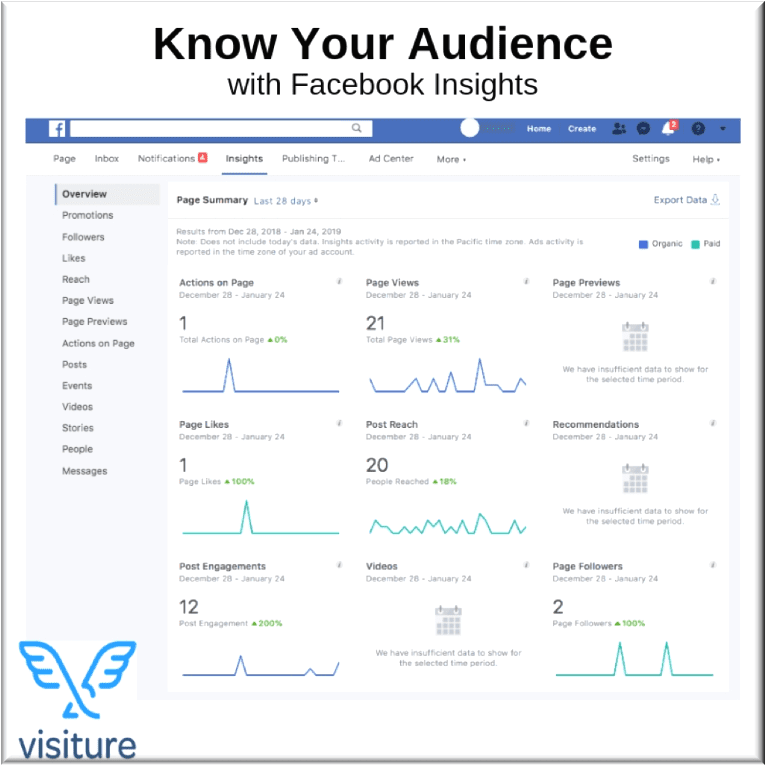 Facebook Audience Insights can be used to see what types of audiences your competitors’ pages are building on Facebook. Once you know what your competitors are doing, it’s easier to zero in on any opportunities that may not be capitalized on, as well as make sure you don’t lose any marketing ground on other channels. Marketing for e-commerce is a multi-front battle and you have to be on your toes in virtually every direction. From search engine optimization to social media marketing, influencer outreach, PPC and email marketing, there is no shortage of opportunity or competition. This is why it’s extremely important to understand what the current competitive marketing landscape looks like before dumping a ton of your marketing efforts into a certain channel. You will also find that some marketing channels earn you a higher Return On Investment (ROI) than others. Instead of trying to cover as much marketing ground on as many different channels as possible, focus on optimizing the channels that are working for you the best. These tips aren’t just meant to help you leave your competition in the dust; they are supposed to help you establish your business for long-term success. The e-commerce world has been growing at a rapid rate and this growth has been met with a rapid evolution of best practices and technology. In 2016, e-commerce sales rose 15.1% but were only 8.1% of all retail transactions. By most metrics, there’s a lot of room left to grow. However, growing markets will always attract new, tough competitors. This is why it’s exceptionally important to make sure your business is on the cusp of the growth, rather than trailing behind and trying to catch up. Be sure to use these strategies to your advantage, but always look for new ways to outmaneuver and outperform your competition while also providing an exceptional customer experience to your customers.